NiQ Health were delighted to join their Patient Infotainment partner ClinicAll® at MEDICA 2015, one of the world’s largest medical trade fairs, held in Düsseldorf Germany, from 16 – 19 November. 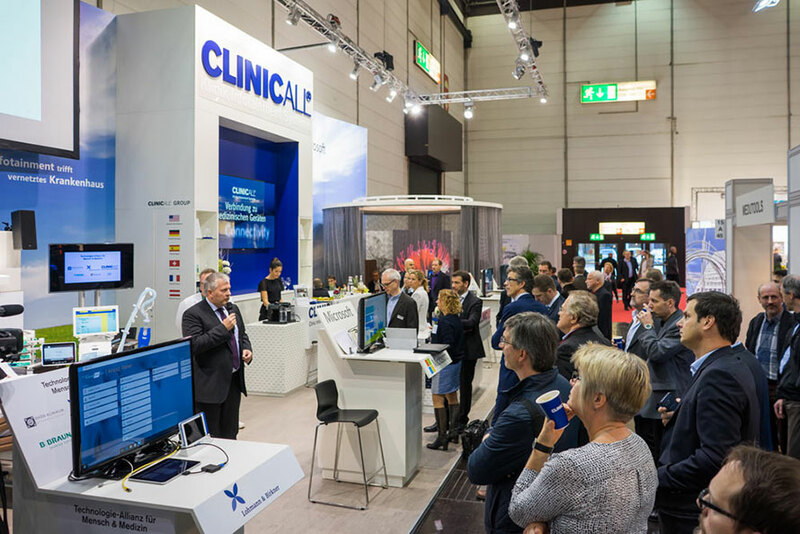 Together with other partners from the “Technologie Allianz für Mensch und Medizin”, for the first time ClinicAll presented the connected hospital with live demonstrations, at the MEDICA stand. NiQ Health’s IP based CarePlus™ Nurse Call and Care Management Information System, with SRC-Infonet (SAAS), developers of a highly sophisticated healthcare Information System, are a critical backbone to completing the entire offering. MEDICA 2015 received an outstanding number of specialist visitors, more than 130,000 and the international visitors made up 50 percent, making it the leading trade fair for suppliers and exhibitors of the medical technology industry. Customer interest and visitors to the ClinicAll stand surpassed all expectations making MEDICA 2015 a great success for all of us.